Volkswagen has reaffirmed its plan to introduce a smaller derivative of the VW Atlas. The company will launch a 5-seat version of the mid-size SUV. The 5-seat VW mid-size SUV's production will take place at the Chattanooga plant in the USA. Volkswagen calls the new mid-size SUV a sporty option for the VW Atlas. Which means it is likely to come in a coupe-SUV form. 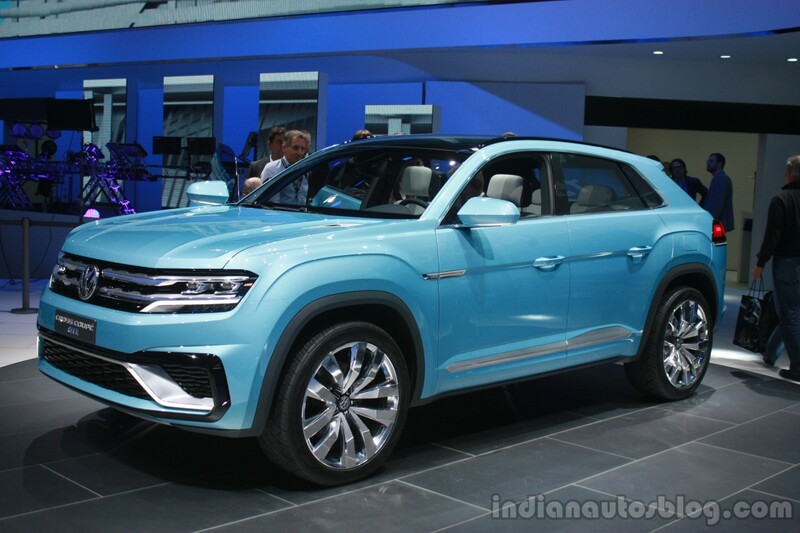 It is only logical to expect that Volkswagen will launch this model as the production version of the VW Cross Coupe GTE concept that debuted at NAIAS 2015. The VW Cross Coupe GTE, as its name suggests, is a plug-in hybrid vehicle. Its powertrain comprises the 276 hp 3.6-litre VR6 FSI petrol engine, a 54 hp electric motor (front) and a 114 hp electric motor (rear). Work on the MQB platform-based production VW mid-size coupe-SUV has already begun. The new 5-seat SUV could use the 238 PS 2.0-litre TSI turbocharged petrol engine at launch. At a later stage, Volkswagen could introduce a plug-in hybrid powertrain option. That would make the 5-seat coupe-SUV a more compelling product, especially in China, and even in Europe, where it will be a much better fit than the large 7-seat Atlas. Volkswagen has not yet confirmed this model for markets outside North America, though. The 5-seat VW mid-size SUV will have a coupe-like silhouette and could closely resemble the VW Cross Coupe GTE concept pictured here. 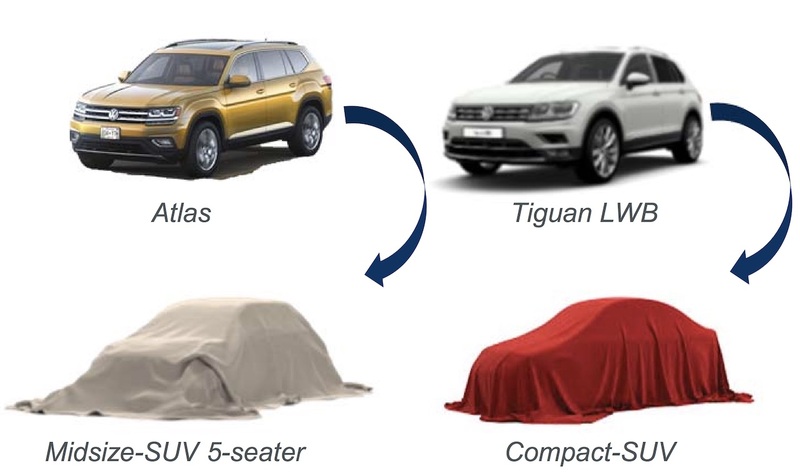 Volkswagen will build the new 5-seat mid-size SUV alongside the VW Atlas at the Chattanooga plant in the USA.